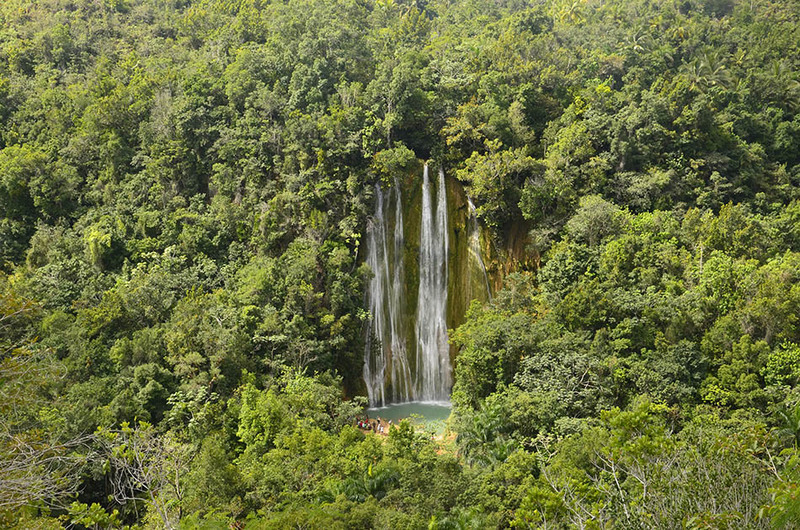 While in Samaná, don’t miss Salto El Limón, you can find it following an access along a path departing from Las Terrenas. The walk can be walked or done in horseback, and it normally takes between 30 and 40 minutes as it follows a charming landscape surrounded by coconut trees that become more dense when you are about to reach the Salto. 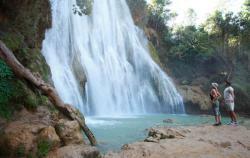 The waterfall has 40 meters of height, falling into a natural pool where you can take a refreshing bath after the walk. 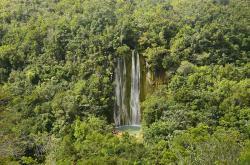 Besides, you can climb to the highest part of the waterfall using some steep stairs. Most trips to this waterfall leave from Las Paradas, places where farmers wait for the visitors and their prices vary on whether you would prefer to go walking or on horseback. The Paradas offer not only trips, but food, and places where to buy typical objects and handmade goods, such as cocoa or coffee. Samaná, cerca de El Limón, República Dominicana.